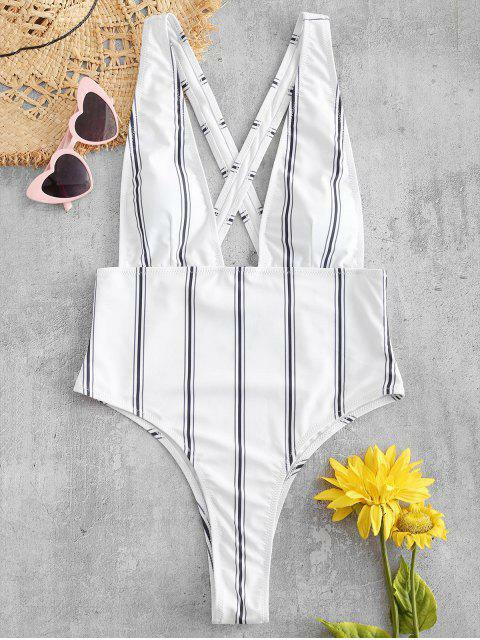 [25% OFF] 2019 ZAFUL Striped Criss Cross Plunging Swimsuit In WHITE | ZAFUL ..
Soooo cute! Only get if your comfortable showing some skin tho cuz this ain’t yo grandma’s house pool party suit. Love it!!!! I'm 5' 4" 120 pounds and the S fit perfectly! 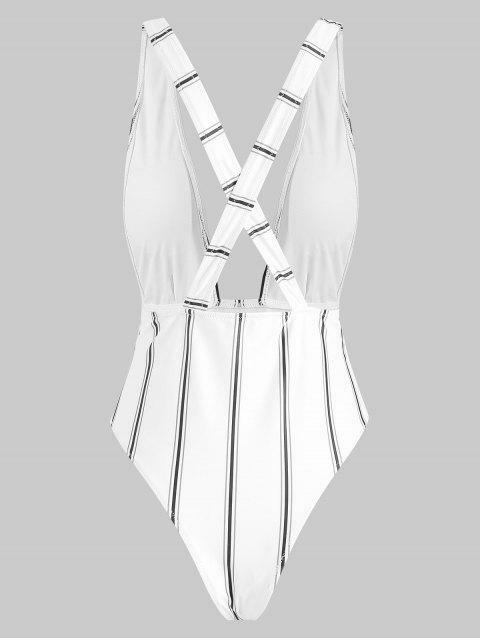 With vertical stripes printed throughout, you will be able to wear this swimsuit to showcase your body to everyone! The plunging collarline is created with the help of the shoulder straps that keep everything firmly in place. 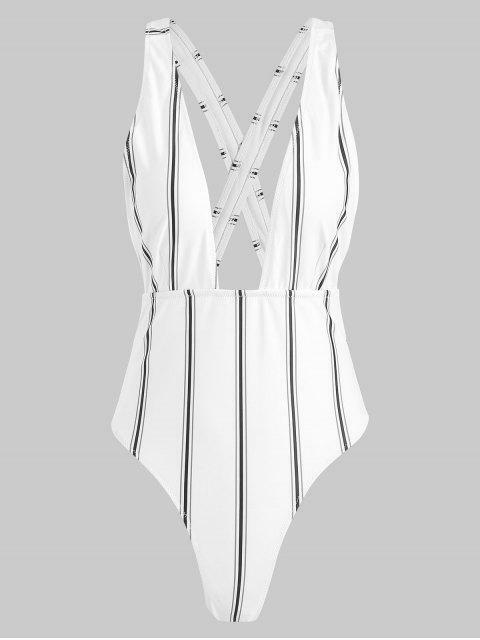 The backside is opened, but with crisscross straps to keep you looking demure while you're sitting by the pool. And the high cut hips provide you with ample room to move when active.